Credit: Flickr / Carlos Gutiérrez G.
Sometimes it helps just to look at the obvious when you’re trying to sort out a news story. 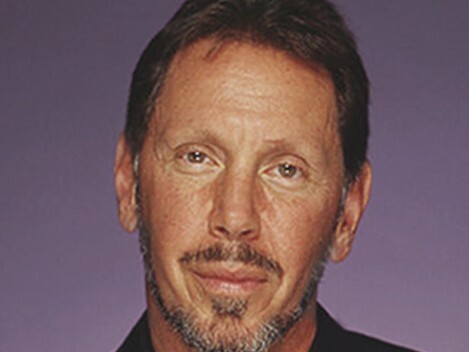 Oracle(s orcl) CEO Larry Ellison has been known to talk smack with varying degrees of braggadocio. But sometimes he also telegraphs precisely what he’s going to do — as when he told third-party software companies like Veritas to “get off his lawn” because he was going to cut them out of the Oracle ecosystem. He then pretty much did that by offering competitive Oracle-branded offerings. Last week, he said companies “like” Microsoft(s msft) would use Oracle’s upcoming 12C database technology. Subsequently, invitations for a Monday Microsoft-Oracle press call went out. Microsoft CEO Steve Ballmer, Windows & Tools President Satya Nadella, fresh off his Structure talk last week and Oracle co-president Mark Hurd will headline. Speculation was off the charts because Microsoft has spent more than a decade and untold billions trying to displace Oracle database with SQL Server. It’s done well in terms of units sold and SQL Server is huge in departments and branches of big companies as well as smaller businesses. But Oracle remains the standard database in large Fortune 500 corporations and leads the database market in revenue (by far). The long and short of it is, Microsoft SQL Server and SQL Azure are good but SQL Server never scaled to the extent of Oracle’s big-iron database the next version of which promises goodies including baked-in multi-tenancy which might come in handy for Azure workloads. “It has security problems that means that your standard report letters won’t work, a lot of standard tools just won’t work because of this multi-tenancy application architecture. “An application hosted in Windows can connect to any external database it has visibility too (Oracle, mySQL, Sybase, etc…). However, being able to host those database systems in Windows Azure requires that they can exist in Windows Azure’s stateless virtual machines, which is a significant challenge. I’ve heard succesful reports of mySQL being hosted in a non-clustered manner in Windows Azure, but have heard of no real attempts to host Oracle. For example, another thing Ellison wanted off his lawn was non-Oracle hypervisors. Oracle customers are strongly encouraged to use Oracle’s KVM implementation called Oracle VM, not Microsoft Hyper-V and certainly not VMware ESX. I would assume this news means that whatever Oracle 12c technology runs on Azure will also have to run on Hyper-V. Both Microsoft and Oracle have a strong vested interest in blocking any cloud advances by Pivotal and its parent company VMware both of which are about to roll out big-time cloud efforts, IaaS in VMware’s case and PaaS in Pivotal’s. Constellation Research analysts Holger Mueller and Ray Wang speculated that Monday’s news will be a “mega alliance” involving Azure supporting Oracle’s database (and vice versa. )”This is the first of many battles in the ‘open’ cloud wars and maybe cloud stacks will not be open, just ubiquitous with players such as Oracle and Microsoft building broad-based alliances,” Wang said via email. Given that Windows Azure has been open to non-Microsoft languages and even open-source operating systems– you can run Linux instances as guests, for example — this is just taking that openness to another level. And lets face it, the history of tech is littered with odd alliances forged by competitors to thwart threats. IBM, WordPerfect, Lotus and the rest of the vendor world launched Vendor Independent Messaging (VIM) to curb Microsoft’s growing might in email into email back too many years to count. The effort — which then-Microsoft president Mike Maples called “Vendors irritating Microsoft” — sank without a ripple. Anyway, as I already wrote, we live in a world full of strange bedfellows. And, since neither Oracle or Microsoft is commenting beyond what Ellison already said, I’m free to speculate. This story was updated at 5:05 a.m. PDT to correct the characterization of Oracle VM. It is Xen, not KVM, based. This idea that Sql Server cannot match Oracle in terms of scale is simply not true. The only reason it has not beat Oracle is b/c it’s late to the party. Companies already on Oracle would not like to spend a whole lot money to migrate existing enterprise solutions to Sql Server. The hustle ain’t worth it. Just a small correction: Oracle VM is not based on KVM, but the open source Xen hypervisor. wow. my bad. i could have sworn KVM. Fixing.